Resume Builder : Create the perfect resumeforFREE even with zero design skills. Free Resume Builder withlatest20+ Resume builder templates suitable for various jobs. Thisis thebest free resume app with more resume formats. Very easy touse& you can create perfect professional resume cv in justfewminutes. Are you looking a free resume app for creating resume for job orfornew career? If so, you need a resume (Curriculum Vitae,CV,Bio-data) that will really impress your potentialemployer. Why you should use this Free resume cv builder app? This Free Resume maker app created for Freshers (Firstjobapplication / Entry Level job seekers) and veterans /Expertsbecause free resume cv app also has advanced features. From100best resume formats we have selected top 20 best resumetemplatesfrom simple format to stylish & colorful modernresumeformat. It is really that simple to build resume and share aprofessionalresume with the help of Free Resumes Maker App’s resumedesigns.Your CV (Curriculum Vitae) will never appear more appealingandprofessional than with the services offered by our My Resume /CVBuilder. Purpose of your resume is to get a job. Within a minutemostemployers decide if to consider applicants for employment, soyourresume format must be clear, concise, and compelling. Free Resume Builder for freshers & Free Resume BuilderforExperienced - Create best professional resume in seconds withfreeresume template. With the help of our Resume Builder and CVBuilderapp you can find resumes to create professional lookingfreeresumes. * Download as PDF format. * Guide to Create Resume cv ( Curriculum Vitae ). * Easy to Share resume cv ( Curriculum Vitae ). How to create a CV ( Curriculum Vitae ) & bestprofessionalresume with our Resume builder app Free? There are various resume formats available. First you shouldfillall the information like fill in the blanks then you have tochoosethe best format according to your needs. We gave 10ready-maderesume templates. The sample resume formats / examples given in the apparerecommended by top universities. Only the best resume samplesareprovided so you can choose one without any confusion. Highly Professional Resume is very important for every jobseekers.There are many online resume maker but they charge youMoney. ThisFree resume 2018 maker perfect to use and also makeresume variousResume formats / templates 2018. Photo editor calendar 2018 allows you toCreatestunning HIGH quality wall photo calendars with PhotoCal.Superquick and easy, 100% satisfaction guaranteed. Photo calendarsmakeperfect gifts for the holidays.Get your personal photo calendar maker for free and have thebestpicture fun in your life!Download “Calendar Photo Frame 2018” and enjoy creatingfantasticphoto editor.Start an unforgettable photo adventure with this free photoeditorapp.A fun photo booth like this one can help you unleash yourinnerartist and help you become a professionalphotographerinstantly!Get calendar picture making app on time and see the magichappeningin front of your eyes!Calendar Photo Editor 2018 is a Latest fantastic free pictureframeapp that will make all you look like the people from thebestCalendar photos.Get your personal photo calendar maker for free and have thebestpicture fun in your life! Download 2018 Calendar Photo Editorandenjoy creating fantastic photo makeover.Start an unforgettable photo adventure with this free 2018calendarwith my photo. A fun photo booth like this one can help youunleashyour inner artist and help you become a professionalphotographerinstantly! Get calendar picture frames 2018 on time andsee themagic.The picture's calendar frames app, you can add photos tothecalendar frame with yourself. 2018 Calendar Photo Frame is easytouse and less time in the pictures. And decorate Save whenyou'redone, you can store pictures in the photo gallery now.Share 2018 Calendar Photo Frame or send happy New Yearitimmediately on the world social.Calendar 2018 with photo editor Features:- Calendar 2018 Photo Frame includes High quality and ColorfulHD20+ frames.- Easy friendly Photo editing controls.- Surprising photo Frames.- Select photo from your phone gallery.- Create my own photo calendar- calendar 2018 with photo editor- Select image filter to give your photos effective anddifferentlook with Latest Effects.- 2018 Calendar Photo Frame supports all screen resolutionsofmobile.- Scale, Rotate, zoom in, zoom out the photo to fit the photoframeas you like.- Cool design of calendar layouts makes these picture framessospecial!- calendar picture making app- Simple commands allow you to create a free photo calendar in afewseconds!- Create your own photo gallery with different calendar framesbysaving edited pictures!- Photo editor calendar 2018 gift- You can save your photo with frame to your SD card inhighquality.- Post you personalized calendar images to social networks.- 2018 calendar with my photoMake every day of the year wonderful and decorate it withcalendarpicture making app. Resume Builder : Create the perfect resumeforFREE even with zero design skills. Free Resume Builder withlatest20+ Resume builder templates suitable for various jobs. Thisis thebest free resume app with more resume formats. Very easy touse& you can create perfect professional resume cv in justfewminutes.Are you looking a free resume app for creating resume for job orfornew career? If so, you need a resume (Curriculum Vitae,CV,Bio-data) that will really impress your potentialemployer.Why you should use this Free resume cv builder app?This Free Resume maker app created for Freshers (Firstjobapplication / Entry Level job seekers) and veterans /Expertsbecause free resume cv app also has advanced features. From100best resume formats we have selected top 20 best resumetemplatesfrom simple format to stylish & colorful modernresumeformat.It is really that simple to build resume and share aprofessionalresume with the help of Free Resumes Maker App’s resumedesigns.Your CV (Curriculum Vitae) will never appear more appealingandprofessional than with the services offered by our My Resume /CVBuilder.Purpose of your resume is to get a job. Within a minutemostemployers decide if to consider applicants for employment, soyourresume format must be clear, concise, and compelling.Free Resume Builder for freshers & Free Resume BuilderforExperienced - Create best professional resume in seconds withfreeresume template. 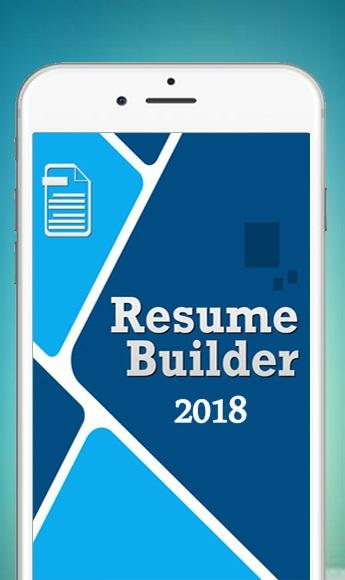 With the help of our Resume Builder and CVBuilderapp you can find resumes to create professional lookingfreeresumes.Free Resume maker App Features:* Easy Resume Creator with Cover Letter* Create and send resumes on the go - a perfect app for busyjobseekers* Download as PDF format. * This resume builder completely free (no cost) & no* Great looking resumes with this resume writer* 20 Professionally designed templates; easy editing options* Save or share resume cv ( Curriculum Vitae ) as PDF* If you wish would add your picture and Signature* Guide to Create Resume cv ( Curriculum Vitae ). * Easy to Share resume cv ( Curriculum Vitae ). * Step by step resume help to create best resumes* Get quick resume in minutesHow to create a CV ( Curriculum Vitae ) & bestprofessionalresume with our Resume builder app Free?There are various resume formats available. First you shouldfillall the information like fill in the blanks then you have tochoosethe best format according to your needs. We gave 10ready-maderesume templates.The sample resume formats / examples given in the apparerecommended by top universities. Only the best resume samplesareprovided so you can choose one without any confusion.Resume builder Free / CV Maker / Free Resume App2018includes:* Contact information* Reference* Work Experience* Objective* Academic Information* Strength and Curricular Activities* Industrial Exposure* Projects* Picture and Signature etc.Highly Professional Resume is very important for every jobseekers.There are many online resume maker but they charge youMoney. ThisFree resume 2018 maker perfect to use and also makeresume variousResume formats / templates 2018. Free Resume Builder with latest 75+ Resume templates suitable forvarious jobs in 2019. This is the first resume app with more resumeformats. Very easy to use & you can create perfect professionalresume in just few minutes. Resume App Features: 75+ ResumeTemplates for Freshers & Experienced (Experts). Just 3 Simplesteps to build resume. Download as PDF format. Change the resumesubtitles & Headers Rearrange the section order 100%Customization possible Make resume in Various colors Guide toCreate Resume. Easy to Share resume. This resume builder completelyfree (no cost). Why you should use this Free resume builder app?This Free Resume builder app created for Freshers (First jobapplication / Entry Level job seekers) and veterans / Expertsbecause free resume app also has advanced features. From 100 bestresume formats we have selected top 75 best resume templates fromsimple format to stylish & colorful modern resume format. Howto use Resume Builder app? Let us create resume now. 1. Completethe resume profile to make resume Fill all the required fields togenerate the resume. You will get warning message, Incomplete - ifany data is missing. 2. Select Resume Template First select Formatfor resume - Freshers or Experienced (Expert) Resume format. Thenselect any resume template and view the preview of the CurriculumVitae (CV / Resume) 3. Download Resume in PDF format or print Youcan download resume in pdf format or print it. FAQ on ResumeDownload 1. How to download my resume as pdf to my phone? Selectthe resume template and you will see print preview. Then select"Save as pdf" (By default this option is selected, if not youchange manually). 2. Where is my resume file located in the phone?Your resume (PDF file) will be in downloads (Default DownloadLocation). 3. Can't able Save My Resume. By default, all androidphone will have print / save as pdf feature. But in few phone thisfeature will be turned off so you need to enable this. We havefocused on summer internship, Student internship resume, IT/Software developer resume formats by adapting top universitiesrecommendations. Professional Resume is very important for everyjob seekers. There are many online resume maker but they chargemore. This Free resume maker perfect to use and also make resume invarious Resume formats / templates 2019. Curriculum Vitae (CV) isgood for experts and this professional cv maker app helps even thefreshers to create veteran / experienced resume. Job resume formatsuitable for jobs like BE, Btech freshers engineering students& Diploma, High school college student resume, Internship,nurse, health care, banking, management, teacher LecturersAssistant Professors, doctor, MBA, government job resume, assistantsales associative , Lawyer, supervisor, graphic design ModernCurriculum Vitae (CV template / CV format) for Customer service,accountant, bank job CV format 2019, business & Data Analyst CVmaker with photo. For quick resume builder copy your Linkedinprofile & paste in Resume Builder Profile Fields: CareerObjective / Job summary Work Experience Education qualificationsProjects Achievements & Awards Technical Skills ReferenceSignature Your Photo This is the Perfect resume builder whichcreate perfect resume to prove you are genius and it should be yourcareer builder. Resume You can download simple resume format inword file (MS word doc docx) by using pdf to word converter. Free Resume Builder Pro for freshers & Experienced - Createbest professional resume in 3 to 5 Min with Free resume Templates,examples and samples. Visual Resume builder pro ✔ Visually editableresume - Just edit the template in Visual Editor (Just replace thetext) like MS Word using WYSWYG - What you see, What you Get ✔ 100%Customizable - Change the format however you want. ✔ Auto Save ✔Offline resume builder ✔ Download Resume in PDF format ✔ Lots ofonline resources - Internet need only once to get resources &updates. ✔ Easy to use ✔ Sample resume & templates / formats ✔Guide to create best professional resume ✔ Video tutorials to howto build resume that get a job. The sample resume formats /examples given in the app are recommended by top universities. Onlythe best resume samples are provided so you can choose one withoutany confusion. The purpose of your resume is to get an job within aminute most employers decide whether or not to consider applicantsfor employment, so your resume’s content must be clear, concise,and compelling. How to create a best professional resume? There arevarious resume formats available, we have to choose the best oneaccording to our needs. So we gave 12 ready made resume templatesand more sample resumes for reference. Resume builder for fresher& Experienced candidates with various resume formats such assimple resume format with Name and address, photo, advanced resumewith experience details This resume format / template will beuseful for freshers and experienced person. This is perfect andprofessional format, more over you have 100% control on the format.Resume for college students and cover letter Engineering resume andcover letter Teachers resume Business analyst & consultantresume Software engineer experienced resume Student Internshipresume curriculum vitae (CV) and cover letter Management resumeNurse resume (Nursing & Healthcare) Doctor Resume CivilEngineering Resume Computer engineering resume ElectricalEngineering resume Accounting & Finance Executives ConstructionCustomer Service, Retail, & Hospitality Drivers & TransportHousekeeping and Cleaning Librarian Marketing & Sales manresume All Resume have: Contact information Objective Academic /Educational Qualification Work Experience Projects Technical SkillsExtra Curricular Activities Industrial Exposure Reference Pictureand Signature etc. Easy Resume Maker / CV Maker will help you tocreate beautiful resume / CV in very few minutes. This ResumeBuilder mainly created for freshers and expanded to experiencedcandidates. So this resume builder app contains many resume formatsfor freshers and few for experienced. 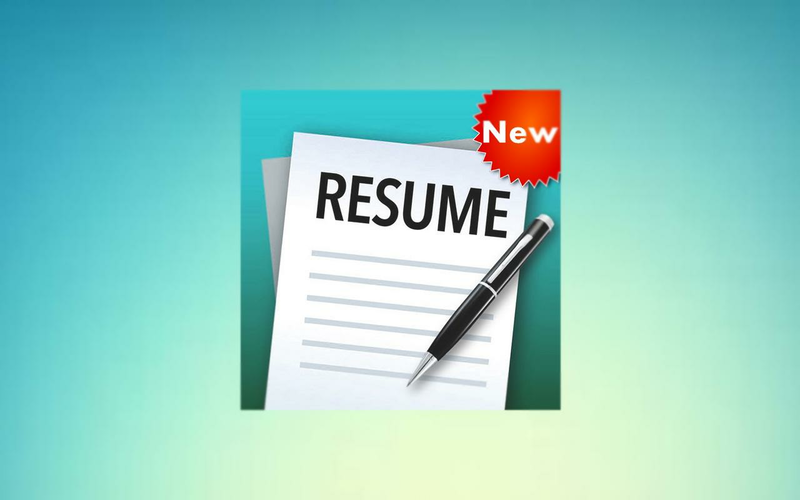 In next update we will covermore experienced resume formats. Free Resume Builder app for Freshers & Experienced - Createbest professional resume in 5 Mins with Free resume Templates,Examples and Samples. *Free Resume App*Smart Resume Builder – a FreeResume App is an all in one solution for building Innovative andLeading Edge Resume, CV. If this is the first time you are tryingto write a professional resume, CV for finding your dream job, thisfree resume app will help you to get on a right track of bestresume making. With the simple User-Friendly Interface free resumemaker, allows you to build resumes in just about a minute withdifferent Languages and different formats using our best app formaking resume.Smart Resume Builder CV Free Jobs has different typesof Professional Resume Formats are available in resume creator app.You can also change your font size and style as desired in resumecreating app. In resume application there are several resumeformats included you can use them to help you create a greatlooking Resume CV to help you in your job search.Using ourprofessional resume maker write Your Resume, CV is very simple withour perfect resume maker! Just fill in the blanks to create resume,CV and Save as PDF file using our resume creator app.Using ourperfect resume maker, CV Free Jobs includes preview PDF and shareto email option so you can email from your device.Edit/Modify anyfield any time during the Resume Creation process by using our myresume app.Smart Resume Builder, a professional resume maker allowsyou to add as many sections as needed and you can also edit thesection heading in this perfect resume maker.Free resume Appbuilder uses PDF rendering technology so you can save resume as aPDF document in a best resume making app & a free resume app.This means you do not have to worry about resume losing the formatwhen you send it by using our CV maker.It aims to give you lots ofhelp in writing a great my resume. Obviously, it includes Resumetemplates with customization of background font style and sizes inthis make my resume app free.From the available resume templatesyou can choose preferable resume format in my resume app free.Makemy resume app free, free resume maker app comes with Sample Profilewhich includes predefined data in it, which allows you to createresume very easy with this resume creator app.You Can Email YourResume Right from Your Android Phone using this perfect resumemaker!Smart Resume Builder, professional resume maker app guidesyou to create resume so that you can avoid mistakes while creatingresume, which would cost you your job.Make use of our free resumeapp and a free resume maker and build resume with a perfect resumemakerNote: Feel free to contact us for feedback, bug reporting andenhancement for this free resume maker. We always love to hear fromour users. 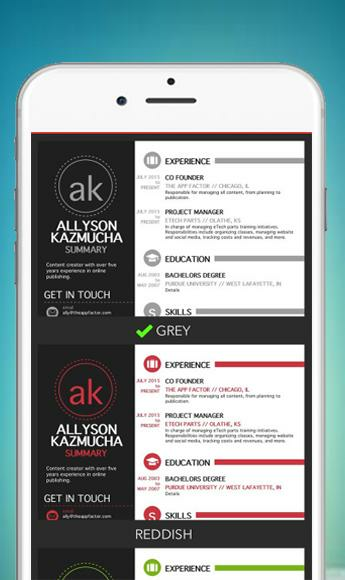 Build and send professional resumes or CVs on the go - a perfectapp for busy job seekers. VisualCV is an easy and convenient way tocreate PDF resumes, CVs, online portfolios and cover letters forstandout job applications. It features easy-importing from existingPDF or word resumes, professionally designed templates, and easyediting options to ensure you always have the best resume possibleready to impress your future employer. In today’s fast movingcareer market, you never know when you will need to put your bestprofile forward. 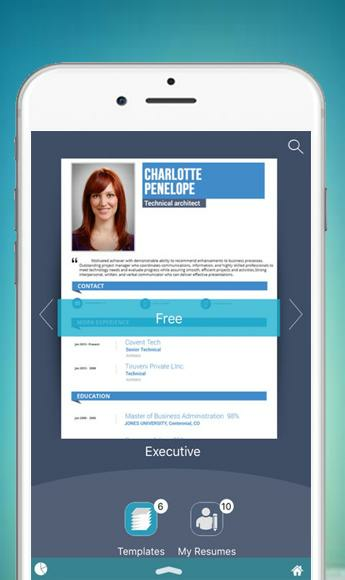 VisualCV mobile makes it easy to create and sendyour resume ! Resume Builder Features - Import Resume Data fromLinkedIn - 2018 Premium Resume Designs & Templates - ImportYour resume From PDF and Word Formats - Customize Resume Fields -Add Additional Content - Add Your Photo - Publish and share inSeconds In today’s fast moving career market, you never know whenyou will need to put your best profile forward. VisualCV mobilemakes it easy. Download Resume Builder by VisualCV Now and makeyour next career move. 'Free Resume Builder' - CV Maker & Templates Creator - free appcreates to professional resume in offline mode with more than 130+color resume templates. You can create your professional resumejust in very few minutes and also you quickly create it for anykind of profession. This career builder is really a simple thing tobuild resume and offer an expert resume with the assistance ofperfect resume builder. This resume app helps you to createprofessional resumes for freshers and experienced that supportsyour career goals, covers job descriptions that describe yourskills. Resume Builder app provides you readymade resume templatesor formats. To create curriculum vitae ( cv / resume) you do notneed to worry about what format, what information to put etc, justenter the information and forget about the formatting. You may findnumerous opportunities in your profession and you may be skilledenough for the position but you need the right professional resumecrack your interview. You find hard in creating new 'curriculumvitae' every time as it will be time-consuming and tiresome butthis 'CV maker' templates app helps you to get through it. Resumecareer builder are created for every job seekers. CV maker withlatest 130+ cv templates suitable for various job vacancy in 2019.You can create Perfect and reliable format of resume by using thisresume application. Resume PDF Maker provides valuable cv format orbest resume templates. There is no need of re-writing your entireCV but few inputs to this 'resume builder' app create a free resumefor freshers or experienced candidates. This my resume free app /resume builder app free / resume creator can be used to create /make resume, CV samples, Curriculum vitae, Professional resumes,perfect resumes. Free CV maker is easy to create and share resumeswith cover letter format. Simply fill in your details and FreeResume Builder produces a clear, professionally formatted bestresume. The user-friendly interface of this resume app helps you tofill all the details like work experience and achievements duringyour working career, your personal hobbies and interests, youracademic credentials and professional accomplishments. Thisprofessional Resume Builder is create a resume in variousprofessional formats / cv templates. professional curriculum vitaebuilder is good for experts and students. The generated resume inPDF format and you can share or store using online and offlineoptions provided. This resume builder cv maker app easy to createand share a best resumes with the help of my resume builder cv.Features of professional CV maker app : Create, view, copy, manageand delete multiple profiles in this Resume Builder Profile app.Access our resume writing app in offline mode. Share this resumeapp with your friends to create a professional CV. Download thisresume app at free of cost. This resume app is accessible inoffline mode. Make use of this first resume app and a free perfectresume maker and build resume with a perfect professional resume.In Resume App 130+ impressive cv formats included, you can use themto help you build resume a great looking resume / cv / curriculumvitae to help in job. Make use of free resume app in PDF format tocreate resume with perfect resume templates. Quick resume builderthat makes resume with edit, modify and share cv easily. CV Maker Resume Builder and Editor pro app with perfect PDFtemplate format help you to create your professional resume just incouple of minutes. The main features of CV Maker Resume Builder andEditor pro app with perfect PDF template format includes: 1. 100+Resume Templates and Formats 2. 250+ Cover Letter 3. 30+ DifferentLanguages 4. Your own Template color 5. Include your Signature 5.Template Customization 6. Different Fonts Size and Style 7. Singleand Multipage Resume and CV 8. Customizable Resume section TitleMake your next career move with confidence. Beat the competitionwith a professional and impressive resume that can be emailed,shared and downloaded in PDF formats. Having a great resume, sharpinterviewing skills, and the ability to negotiate the salary youwant will place you ahead of the competition in the job search. CVor Resume builder app provides all the job tools and career adviceyou need to build your confidence, and turn job interviews into joboffers. CV Maker Resume Builder and Editor pro app with perfect PDFtemplate format guides you to create your resume so that you canavoid mistakes while creating your resume, which would cost youyour job. CV or Resume or Curriculum Vitae is the first impressionwhile job hunting. Having a great resume will place you ahead ofthe competition in the job search. CV Maker Resume Builder andEditor pro app with perfect PDF template format help to createprofessional and impressive resumes in PDF format just in minutes.Just select the template and fill up the information, you no longerhave to worry about how to make a resume or cv. Let our CV MakerResume Builder and Editor pro app with perfect PDF template formatdo all the hard work for you so you can focus on getting that job.CV Maker Resume Builder and Editor pro app with perfect PDFtemplate format: FEATURES and BENIFITS 1. CV Maker Resume Builderand Editor pro app with perfect PDF template format has 20professional and impressive resume templates with photo and withoutphoto. 2. With the simple User-Friendly interface CV Maker ResumeBuilder and Editor pro app with perfect PDF template format, allowsyou to build resumes in just about two to three minute. 3. Thereare several impressive resume formats included, you can use them tohelp you create a great looking CV or Resume or Curriculum Vitae(Curriculum Vitae) to help you in your job search. 4. CV MakerResume Builder and Editor pro app with perfect PDF template formatfeatures professionally designed templates, and easy editingoptions to ensure you always have a resume ready to impress yourfuture job. 5. Easily edit any field any time during the easyresume creation process. 6. This Resume builder app is completelyoffline, no need to worry about internet. 7. The CV Maker ResumeBuilder and Editor pro app with perfect PDF template format toolallows you to select and change your resume layout in real-time.THUMBS UP for CV Maker Resume Builder and Editor pro app withperfect PDF template format! Rate us FIVE STAR if you love thisapp. SEND US YOUR FEEDBACK!! If you face any problem report us orany new ideas, please contact us for feedback, bug reporting andfeature request. We always happy to hear from you. Let’s make it abetter app together. CV Maker Resume Builder and Editor pro appwith perfect PDF template format TEAM. The Resume Creator - Free is a high efficient app developed to makethe creation of professional curriculums easier in PDF format oremail sending and also super skilled appearance. Using the Resumeeditor you can produce your resumè in a few minutes, counting on ahighly impressive appearance to the employer. Simple and intuitiveinterface facilitates the information filling in order to to comeup with the Curriculum Vitae (CV), you can also edit and have a newmodel anywhere, allowing you to send or print whenever you needimmediate handing in or sending, more than this, it’s available ina bunch of templates and different options of fonts, styles,colours and features to improve resumè. How to fill your CurriculumIt’s easy, quick and really simple, just click on the Resumebuilder app, fill it in with your personal and professional data,select the template and that’s it! Characteristics and Differential- Allows the creation of a great appearance - Layout and templatesprofessionally uptodate - Available in 3 different models - Allowshighlight in Italic format - Allows resumè’s saving and sending byemail in PDF Format - Allows rename the PDF file as you wish -Allows to add photographs - Font colour options - Signature TheResume Maker - Free App was specially developed for creating andsending emails in a quick, easy and professional way, you may gainrecognition and enlarge your chances of that dreaming job orchanging jobs. Cv Maker Free is very nice tool for searching job. Cv Maker onlinefree your future depend on Cv Maker free.In the present era we allknow very well that CV maker is very much important. Your CV is thefirst chance you get to make a good impression on a potentialemployer. A top-quality CV maker will considerably boost yourchance of getting a face-to-face interview, so it is worth spendingtime and effort on the content and presentation. Cv Maker will makeall the difference in obtaining the position you want. You musttherefore highlight your skills, expertise and value.Mystery tofind good job is to best resume creator best cv maker. Good resumeor cv maker impact good. Resume generator or cv maker is verynecessary in the present time to find a good job. There are nemrousresumecv maker Cv Maker is good app of 2018 for jobsearch.According to the requirement we have made this cv makercvmakerresumeresumeresumecv on indeed or linkedin to find best job.Indeed and linkedin is best way to find good job just make your cvor resume according to their requirement.Few years ago it’s verydifficult to make a resume. But now it’s very easy no need ofcomputers or laptops to make your cv just make your cv on yoursmart phones. This CV Maker New Edition provides you facility ofeditable resume or CV, you can simply click on resume sample andafter doing editing make it to your own. CV Maker New Edition aimsto give you lots of help in writing a great my resume. Obviously,it includes Resume templates with customization of background fontstyle and size also.App Features:• Create resume instantly• Thereare few templates in the gallery• Personal information• Objective•Education• Experience• Hobbies• Languages• Achievements and Award•Projects• Strength and Curricular Activities• industrial Exposure•Reference• PictureWe will offer more formats for making CV/Curriculum vitae or resume in our next update. Have at your disposal one of the best tools to make a resume freeand quickly. It is possible to include pictures and save as manyresumes you want to view and edit later . The application has themost advanced features of Android and produces PDF curriculum withthe resources of the Assign Material . You have the option toinclude or not a photo . If you choose to include , you can take apicture at the time , just get ready. You can also add as manyexperiences and courses and want , so you can also put together acurriculum with more than one sheet . The Professional Curriculumapplication has a support that is willing to meet you to read youropinion . Contact us.